Octagon Investments is an investment company founded by Dr. Ting Jia (TJ), who has previously worked in McKinsey & Company, BVF partners, and Hillhouse Capital Management and has many years of experience in biotechnology investment fund management. 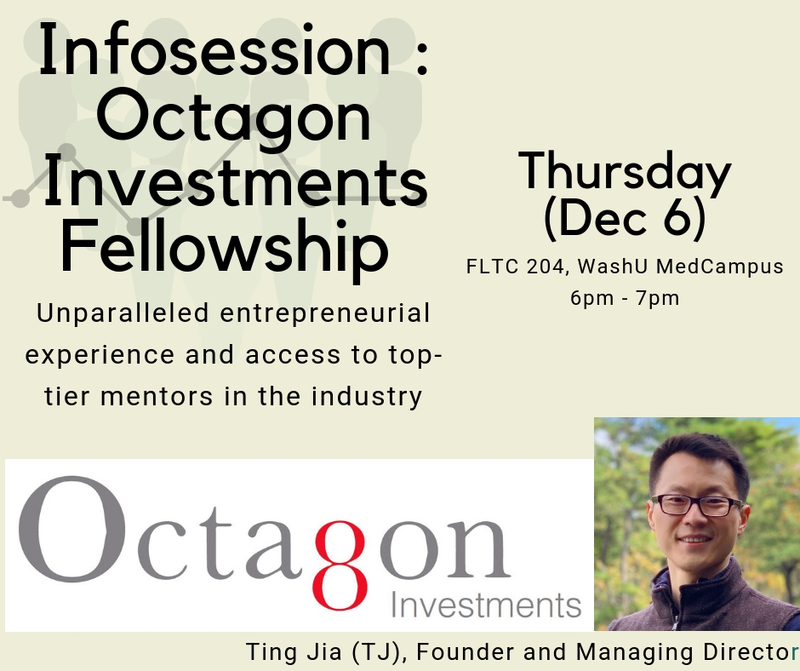 Octagon Investments Fellowship (OIF) is an initiative by Dr. Ting Jia that aims to offer opportunities for graduate and professional school students to participate on multidisciplinary teams that provide strategy and due diligence support for new investment opportunities and licensing opportunities. The information session will be led by Dr. Ting Jia, Founder and Managing Director of Octagon Investments. Click here to know more about the fellowship. RSVP here for the information session.